Over the weekend, meme king Odunlade Adekola beat Kalu Ikeagwu, IK Ogbonna, Jimmy Olukoya, and OC Ukeje to win Best Actor in a comedy role for the movie A Million Baby. A boisterous moment, his acceptance speech was shared in the same spotlight with Yoruba actor Femi Adebayo, an AMVCA winner too. 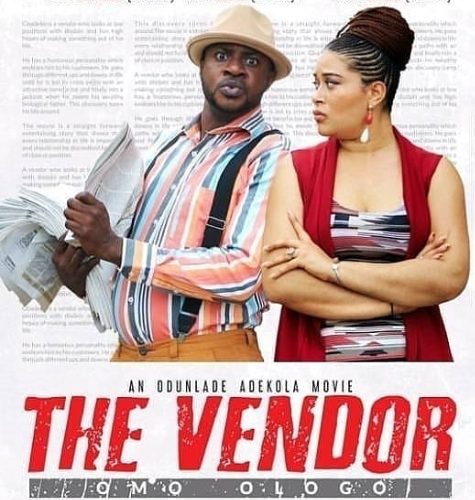 Come September 7, Adekola’s new comedy The Vendor will make its way into cinemas. And, unsurprisingly, promotion for the movie is now revolving around his AMVCA win. “Let’s celebrate our award together at the cinemas with #thevendor (omo ologo),” the actor wrote on his Instagram on Monday, with pictures showing him joyfully hold his award. The trailer is what you would expect from Adekola, scatterbrained and ‘memeable’. Although no plot details are out, the trailer still offers insights into what prospective viewers would be in for. Adekola is the titular vendor, a hyper-charismatic, suspenders-wearing supplier of mint-fresh newspapers to a neighbourhood. By virtue of this, he has built a jovial relationship with residents. Ensuing scenes in the trailer show him asking a man for a job. In another scene, we see him negotiating to be a woman’s driver. The Vendor is comic fuel for those who find the antics funny and stars Jide Kosoko, Eniola Ajao, Ireti Osayemi, Kayode Olaseinde, Mr Latin, and Tunde Bernard.